Writing a letter of recommendation is easier than before. In fact, the only thing you have to do now is to download a sample recommendation letter, customize the file, and then share it with the targeted recipient. If you are here because you are looking for the very best Sample Letters that you can use as a guide or custom notes without paying a dime, you are on the right page. If you know a friend who is looking for a good school, you can use this sample letter to recommend them the best institution of learning where they can get a quality education from the start to the end. 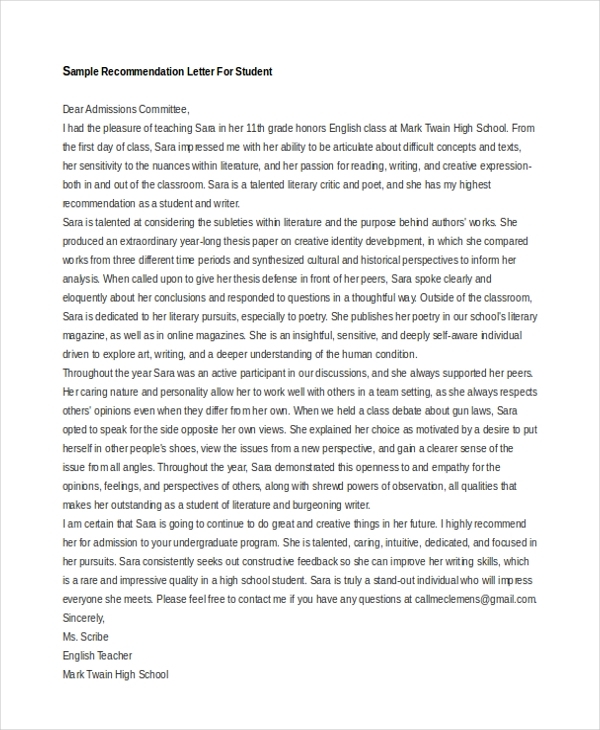 A recommendation letter for students is a custom note that revolves around students. You can download the sample letter for free and then customize to your targeted needs before sending the recipient. 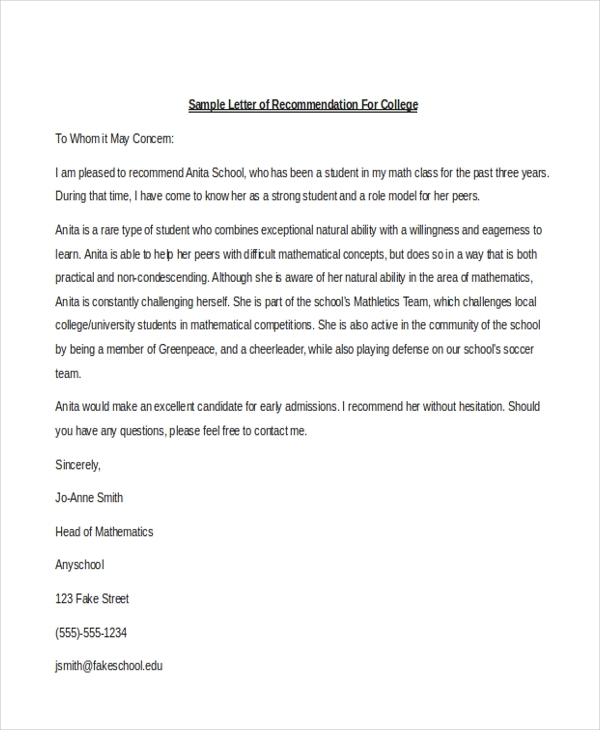 A friend who wants to attend the best school in town may ask you to write the best recommendation letter. That is where this sample letter comes in. Use it to recommend them the best school you have attended before. A recommendation letter for a teacher is written to express the characters of an ambitious and a hardworking teacher. 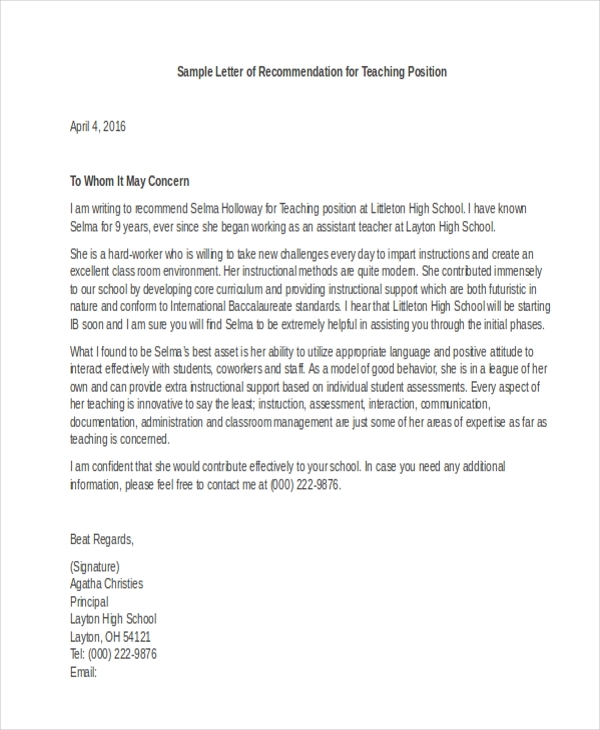 If you would like to write a recommendation letter for the teacher, use this sample letter template. 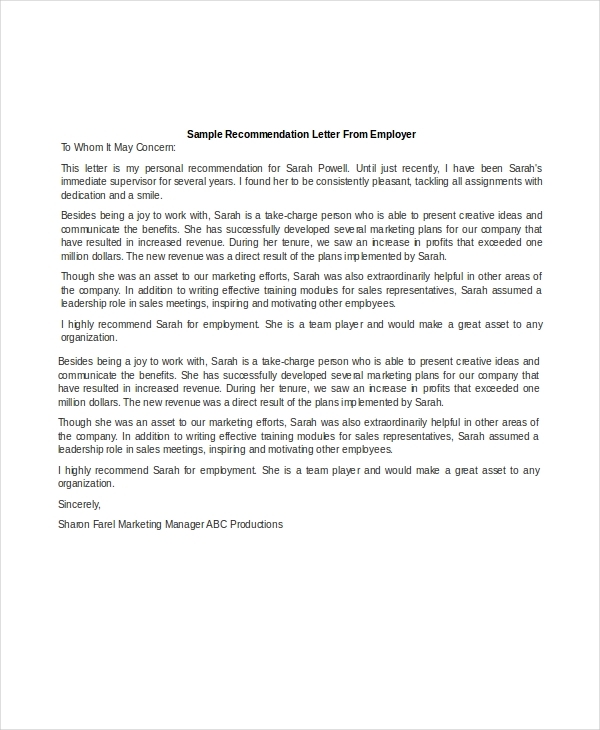 If you are an employer who would like to endorse an employee for good work, you can use the Sample Recommendation Letter from Employer template to write a quick note. Download the same file for free. The sample letter is free to download and you can even customize it if you want. The goal of the sample is to save you time while still enabling you to write a high-quality letter. 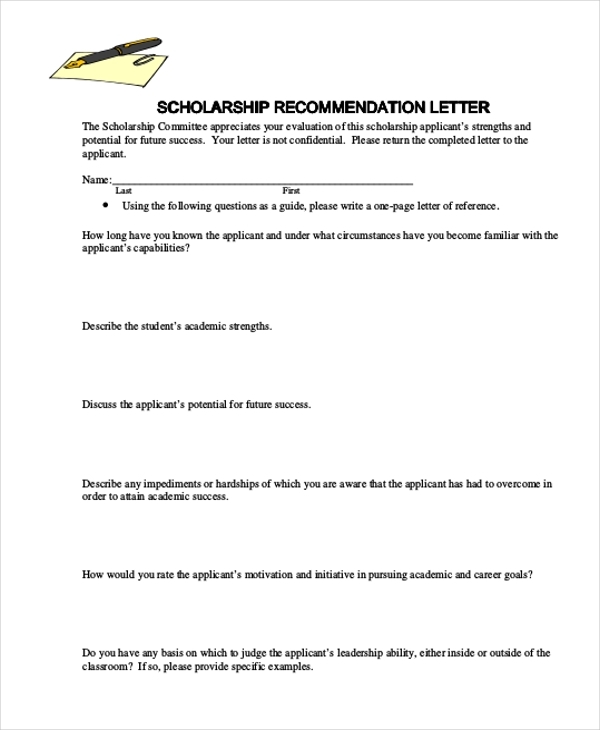 Have less time to write a recommendation letter? You can download and use this sample letter for free. All you have to do is to click the download button, customize the letter, and send it to the recipient. 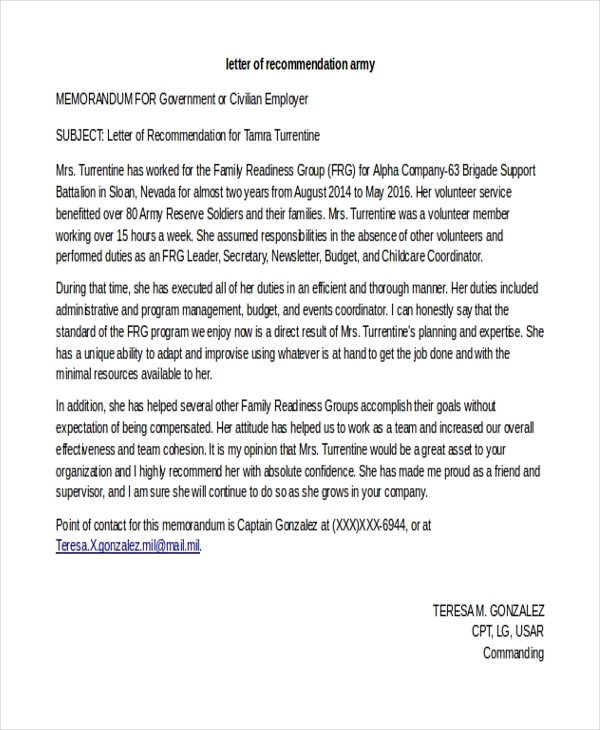 If you are dome with your internship and you would like to apply for an open position, you can download this sample recommendation letter from a supervisor, have your supervisor sign it, and then use it for job hunting. A journalist who wants to transfer from their parent company may request a letter of recommendation if need be. 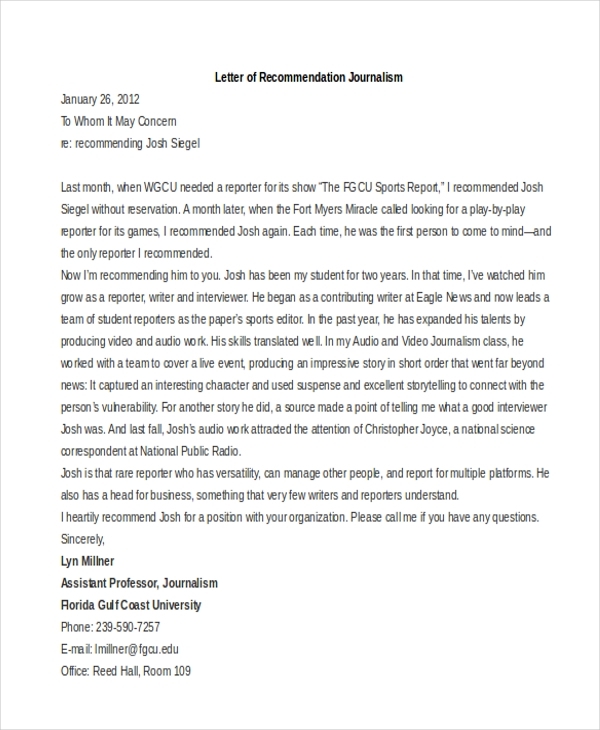 If you are the media director, you can use this sample letter of recommendation as though you are the one who wrote it. There are at least three subjects involved as far as the letter of recommendation samples are concerned: a referrer, a requester, and the target recipient. It is important to examine these elements to give you a better understanding what they are. The referrer is the author writing the letter of recommendation; in this case, you. The requester is the individual who approaches you and asks you to write the letter for them. The target recipient is the individual who request for the letter. These are the three people who use the letter of recommendation sample. 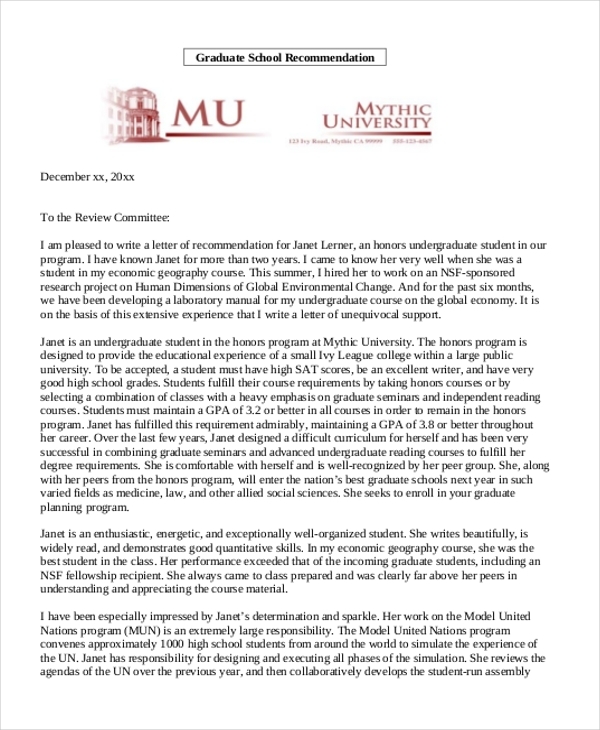 You may also see Recommendation Letters. There are many reasons why the letter of recommendations is always necessary. Of course, the reasons themselves are inexhaustible, but the following should give you the idea of why you may have to write a reference letter. 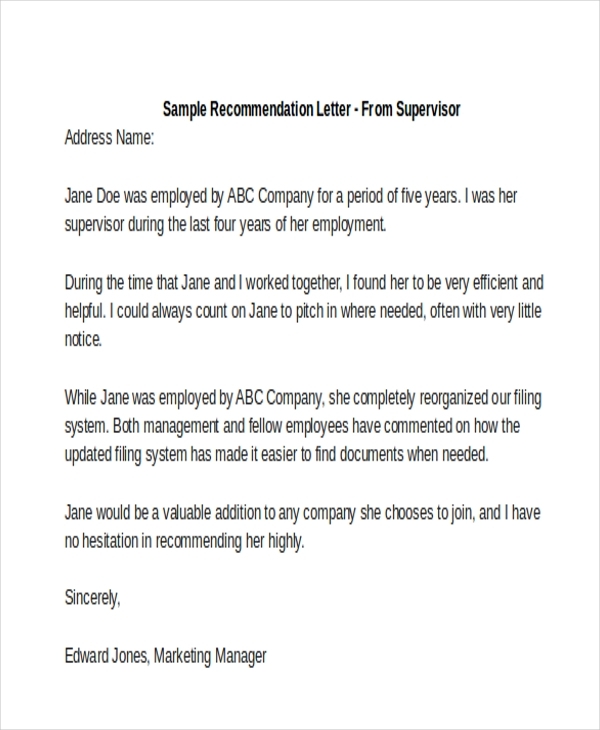 An employer who wants to be sure that an employee can do a good job will ask or a recommendation letter. A tenant who wants to know whether a property owner is worth working with will ask for a recommendation letter to the landlord. An intern who is looking for a job position will ask for a reference to a good company where they can get the best opportunity to work. The sample letters provided in this thread are available for two reasons. First, they are meant to save you time. That means you can download the file, customize the content, and then submit the letter. That’s, of course, is a task that takes less than 10 minutes. Lastly, they enable you to write the letter quickly and without any difficulties. Although many people often write letters of recommendation from scratch, downloading an already existing file can help reduce the amount of workload there is to do. Once you download the file, all you will have to do is to customize the document and then send the letter to the recipient. You can also see Resignation Letter Examples.